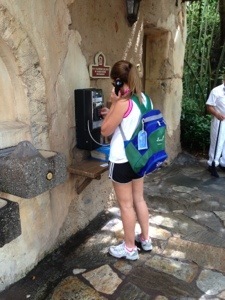 Spotted in the wild…a contraption called a pay phone. Apparently, natives insert circular currency into the machine to make a phone call. According to the local medicine man, the currency is known as “coinage”.